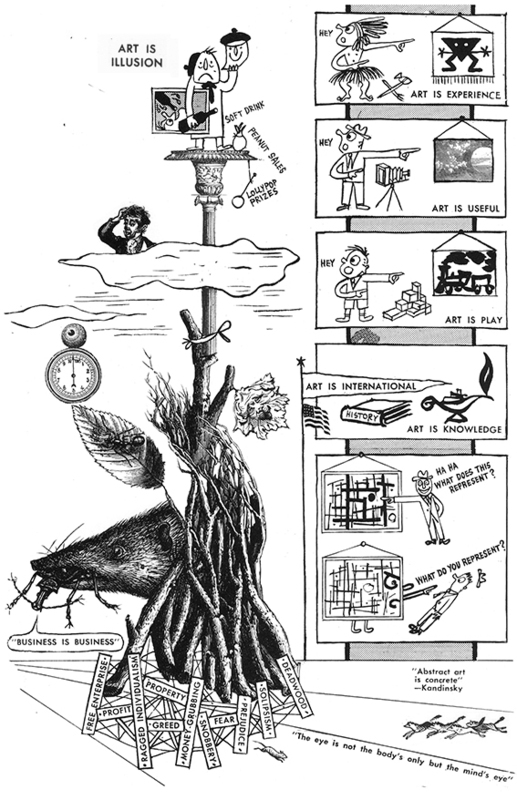 Ad Reinhardt – How to look at an artist. Gevonden via Endless Lowlands, super tof. 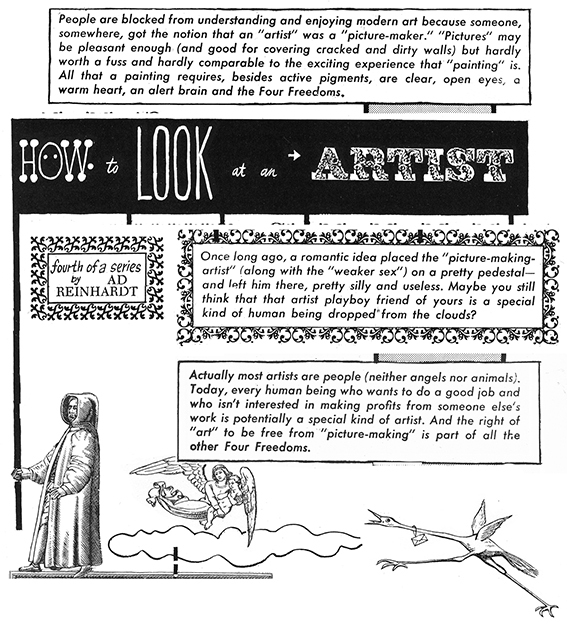 Adapted for this blog (to match its vertical lay-out), but complete version of Ad Reinhardt’s comic/collage ‘How to look at an artist’ for PM Magazine, april 1946. 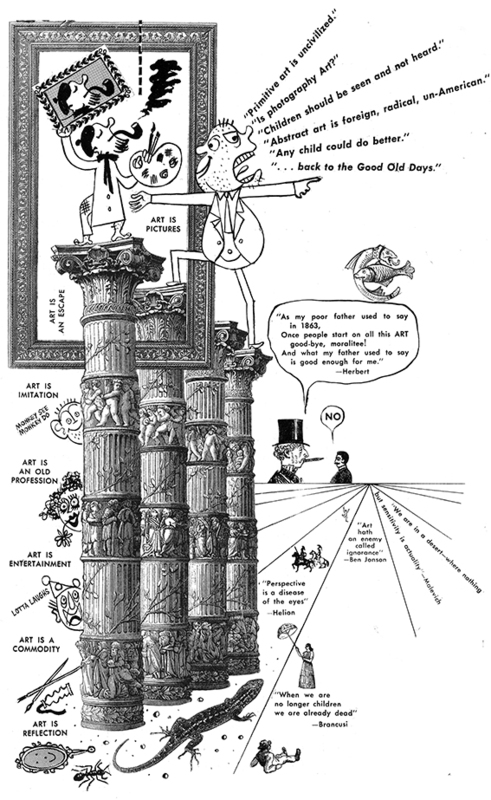 Though outdated in some parts, still highly relevant, fresh and witty in others.